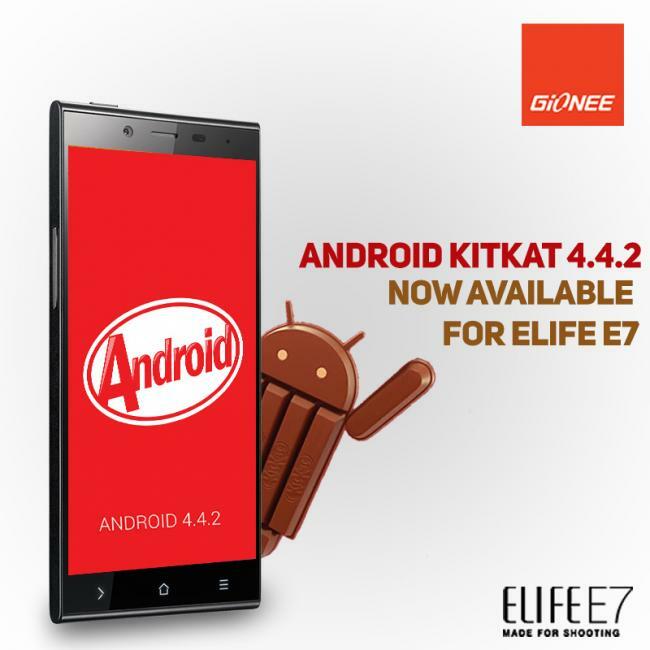 Gionee has finally rolled out Android 4.4.2 KitKat for the Elife E7, available as an OTA update for both 16GB and 32GB variants. The KitKat update for Elife E7 is apparently released pretty late considering its younger sibling ‘the Elife E7 Mini‘ received the same update last year in July. Well, better late than never! The new version will upgrade your smartphone with KitKat 4.4.2 OS, updated Amigo Paper UI and a host of new features for a seamless user experience. Shake and Delete: Added function that delete all recently opened applications just by shaking the device. Added 23 new desktop effects. Fixed random SMS unread icon issue. Updated Amigo Paper with a brand new UI interface design. Updated Game Zone with a new UI interface design. Updated GioneeXender for optimised performance and further improved the linking success rate. Updated UC browser with optimised UI interface and page loading effects. Updated Kingsoft WPS for more efficient work and study related operations. New Desktop layout: After taking OTA Factory Reset the device & will get new Desktop layout with removed Search, Texas Poker and BBM applications. Updated Saavn, Green Farm 3, Danger Dash. Go to System Updates in Main Menu. Click on “Check for new version”. When downloading completes, Upgrade it. (Battery should above 50% charged). When upgradation completes, Take the complete backup of your phone including all installed Apps. At last Restore all backup and Apps. Enjoy KitKat.